Dreaming of velvet skin? 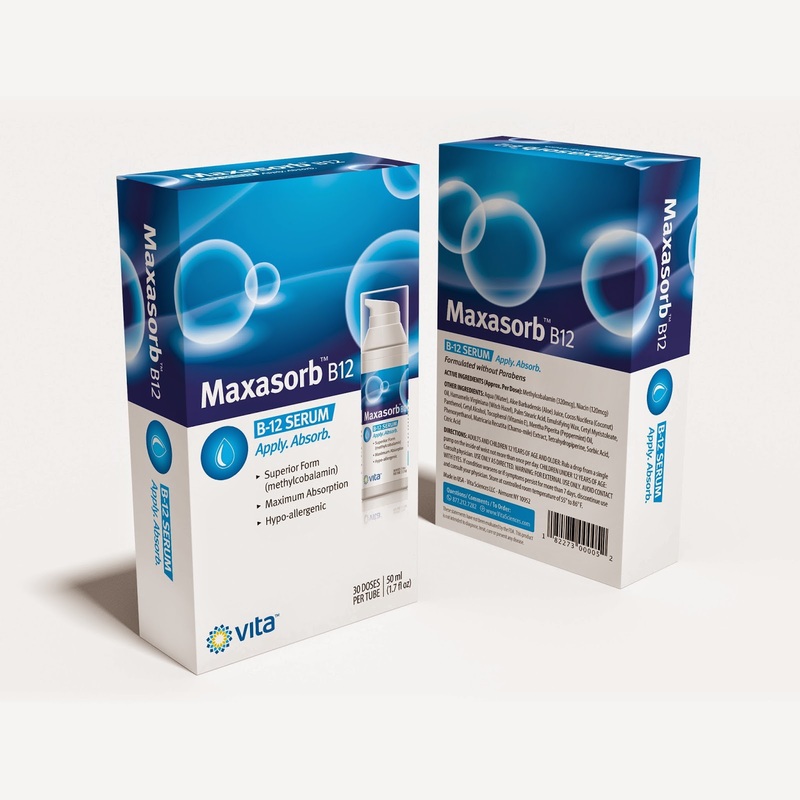 Discover Maxasorb B12 Cream by Vita Sciences, infused with antioxidants and moisturizers, dissolves effortlessly into your skin for maximum vitamin absorption, helping soothe dry, itchy, or irritated skin patches setting you free from eczema, psoriasis, or other skin rash, since the very first application. Skeptical? We put it to the test and this is what we found.. 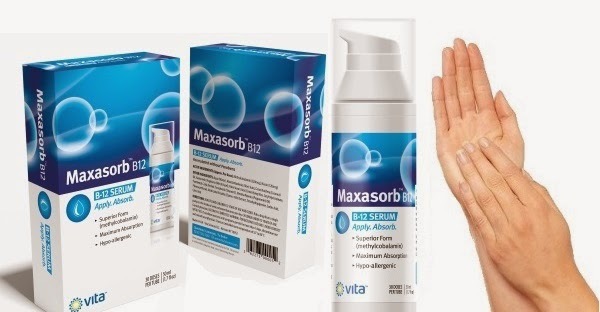 Using Maxasorb B12 as directed is a safe and reliable method of absorbing key B-Vitamins, infused with antioxidants and moisturizers, the formula is totally greaseless, its natural ingredients assure this lotion is gentle and easily absorbed into the skin. We asked our friend Gerardina, a full time mother from Florida, dedicated to her lovely children, the household, the pets and the garden, to test the Maxasorb B12 vitamin soothing lotion from Vita Sciences, she was looking to relieve her tired and sensitive hands, so she took a picture before the very first application, where you can see her hands kind of wrinkled and dry, then she applied the cream and took a picture of her hands afterwards, as you can see her hands show a velvet look, the signs of aging are diminishing, the skin of her hands look immediately moisturized and healthy, in addition to boosting her her energy levels after a few days of use. 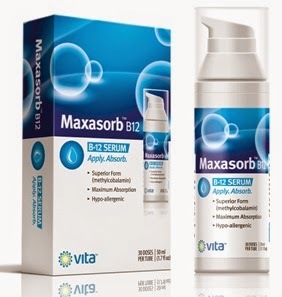 Maxasorb B12 cream is hypoallergenic, non greasy, absorbs easily, scientifically formulated to topically delivery Vitamin B12, ideal as anti-aging, supports renewal of healthy skin cells, reduces appearance of wrinkles, and moisturizes. Key medical experts suggest that all healthy adults over 50 years of age supplement their diets with 100 to 400 micrograms per day of Vitamin B12. Vita Sciences applied in this skin soothing lotion a technology similar to their patented B-12 Patch, therefore, each full application provides 320 micrograms of Vitamin B12 (methylcobalamin) plus 120 micrograms of Vitamin B3 (niacin) and 10 micrograms of Folate. Vitamin B12 and folate help preserve DNA integrity and are important for lowering homocysteine levels, Maxasorb B12 Cream by Vita Sciences can help you maintain a healthy lifestyle by boosting your energy levels and cognitive abilities without taking a pill. Vita Sciences manufactures high quality supplements and lotions containing natural herbs, vitamins, and minerals. New York-based company, founded in 2004 by a team of experts dedicated to producing high quality natural supplements formulated to support health, guided by a commitment to incorporating innovative scientific research in formulating exceptional natural products. Each 1.7 ounce bottle delivers 30 applications of lotion in protected and measured amounts of vitamin B12 methylcobalamin. Special sale price $19.95 on both sites. For more information about the Vita Sciences entire line of products, please visit their official website and join them on the diverse social networks.